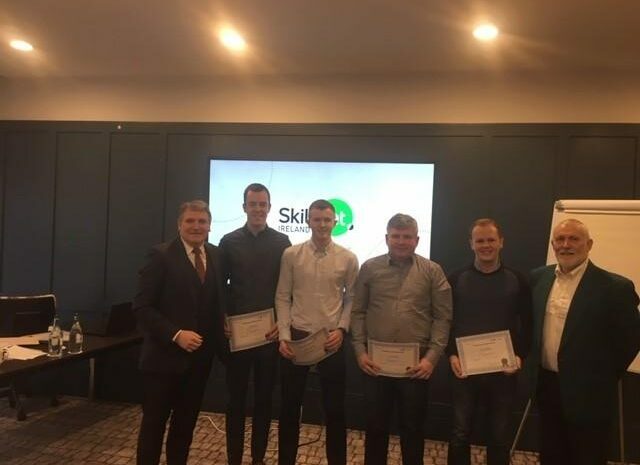 We are delighted to have four Farrell employees – Seamus Melia, Cillian Farrell, Ryan McNally and Conor McCullagh – recently graduate the Green Belt Programme, provided by LBS Partners and Skillnet. The course is aimed at improving knowledge of Lean Business practice throughout businesses. Four more Farrell employees have begun Green Belt Programme this week. The knowledge learned on this program will prove invaluable as Farrell looks to continue our lean journey. Thank you to LBS Partners and Skillnet who provided excellent training throughout the program.